Obituary for Lonnie Harold Hobson | Jones Clark Funeral Home, Inc.
Mr. Lonnie Harold Hobson, age 68, passed from this life on Friday, January 18, 2019 at approximately 10:53 p.m. at his residence in Lima. He was born on July 10, 1950 in Belzoni, Mississippi to Lon H. and Jessie Mae (Hodges) Hobson; both parents preceded him in death. He was united in holy matrimony to Terri Lynn Karns who preceded him in death. 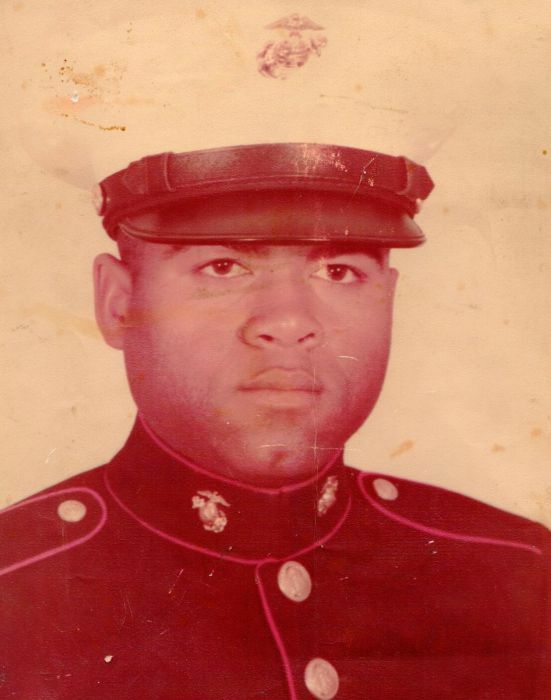 Mr. Hobson was a veteran of the United States Marine Corps. He worked as the Union Steward at Phillips Sylvania in Ottawa. He received an Honor Award and Achievement from IBEW Local 1654. He was a member of Mulligans Golf Association, Lost Creek Golf Club, Ohio Democrats and the Local NAACP. Mr. Hobson contributed to many charitable donations such as the March of Dimes, Wounded Warrior Project and the UNCF. He leaves to cherish his precious memory 3 daughters; Heather B. Hobson of Toledo, OH. Darcie A. Hobson and Amy G. Hobson (Tavares Tyson) both of Lima. 13 grandchildren and 1 great-grandchild. A brother; Leavon Cockrell (Glenda) of Lima. 2 sisters; Jessie May Hodges of Columbus, OH and Mary Lee Hodges Tisdale of Dayton, OH. A host of nieces, nephews, other relatives and friends. Home Going Services will be held on Friday, January 25, 2019 at 12:00 p.m. at the Chapel of Jones-Clark Funeral Home, with Rev. Austin Lewis, Jr., officiating. Visitation/Wake will be held on Thursday, January 24, 2019 at 4:00 p.m. until 8:00 p.m. with the family present from 6:00 p.m. to 8:00 p.m. at the Chapel of Jones-Clark Funeral Home, Inc.
Military Rites provided by V.F.W. 1275.